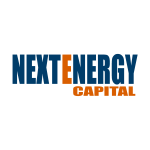 NextEnergy Capital Group (“NEC”), the leading international solar investment and asset manager with solar AUM of US$1.4bn, announces the first close of NextPower III, its flagship private equity fund focused on funding the construction and long-term ownership of new-build solar power plants across international markets. NextPower III has secured initial commitments of c.US$160m, and has a fundraising target of US$750m. NextPower III is the first fund focused exclusively on the high-growth international solar energy infrastructure sector. Its investment strategy is to invest in the construction phase of solar projects and own them over the long term. NPIII’s principal target markets include OECD and OECD Key Partner countries, while it also has flexibility to invest in other high-growth markets should attractive opportunities emerge. This Fund underscores NEC’s position as a leading international investor in the solar sector, building on its unique track record of investment success and financial and operating outperformance across its previous investment vehicles. To date, NEC has lead the investment in over 150 individual operating solar projects for an installed capacity of c.800MW, in addition to c.172MW of subsidy-free development projects in the UK.